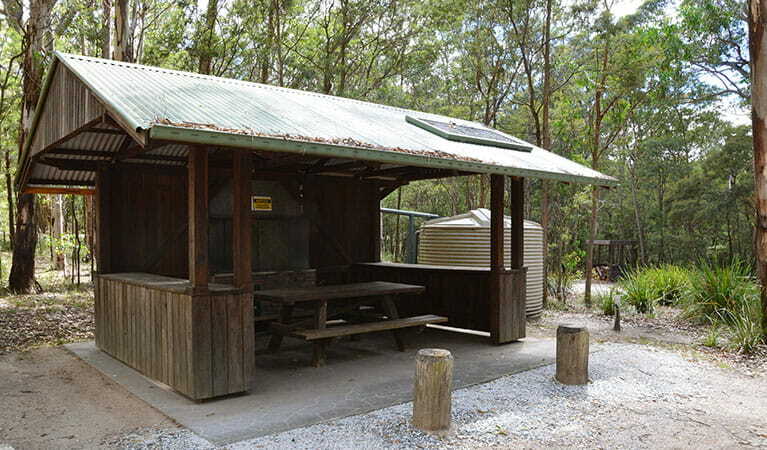 Relax over a picnic or barbecue at the base of the mighty summit, or bring a the family caravan or tent for a superb weekend’s bush camping at Bald Rock campground near Tenterfield. $12 per adult per night. $6 per child per night. Park entry fees apply (not included in your camping fees). No bookings are taken for this campsite, so please pay at the park on arrival. A self registration system applies and involves visitors reading the information/interpretation board. Complete the booking details and place correct money in an envelope and follow further instructions. A ranger also calls into the park to check visitors have paid. 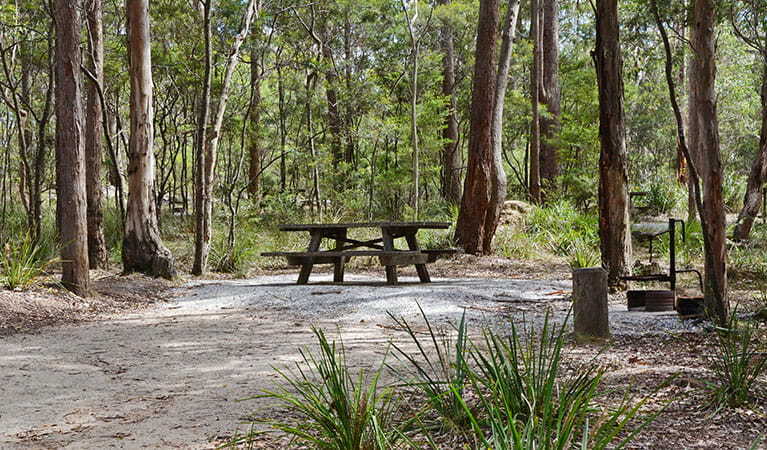 Tranquil bush settings provide thoroughly enjoyable camping spots to base your journey. Just spark up the barbecues provided for a pre-adventure nibble, or savour a shady picnic spot. From here you can easily access walking tracks to the water-streaked centrepiece that is Bald Rock’s dome - the largest exposed granite rock in Australia. Don’t forget your bike helmet either; you’ll be traversing through a palate of brightly coloured flowering plants on the cycling trails, as they lighten the woodlands of this granite environment. Bald Rock National Park is always open but may have to close at times due to poor weather or fire danger. $8 per vehicle per day. The park uses a self-registration fee collection system. Please bring the correct change.